Home » Our Blog » What are the Best Locations to Hire Remote Developers? What are the Best Locations to Hire Remote Developers? The rise in the number of online businesses today has increased the demand for talented developers. Although there are thousands of software developers available for hire, getting a high-quality developer can be quite a time consuming, costly, and challenging. Amongst the massive sea of developers for hire, there are unfortunately some who are under-qualified, inexperienced, or unable to handle the demands of a top-performing company. It is not all doom and gloom though — you just need to figure out how to find the good ones. As it turns out, where you are hiring from also affects the quality of developers you get. Outsourcing for IT talent can be ideal for some businesses, as it allows them to get high-quality web developers at a more affordable cost. There are a few countries in the world where you can hire remote developers, and smart companies are starting to realize this. You will find a large number of excellent outsourcing services in Eastern Europe. China and India are two of the cheapest locations for IT outsourcing. Ukraine is one of the leading countries for IT outsourcing and is one of the top choices for organizations seeking professionals to help with software development. Other locations include Poland, Bulgaria, Hungary, and Romania. Let’s look at Ukraine as a location for outsourcing software development. Ukraine is one of the best locations for IT outsourcing services. Companies like Bosh, Skype, and eBay have already realized the potential of this place. The largest country in Europe, it is easy to move from the county to many other European countries, and the population that is over 40 million gives the country the potential of a large labor market. According to the EBA report, it is expected that the IT enterprise industry will increase in value from $2.5 billion to about $10 billion by 2020. Ukraine has over 1,500 outsourcing companies for IT services and over 10 research and development centers for companies like Cisco, NetCracker, Samsung, Magento, and Siemens. Kharkiv and Kyiv are two of the most significant cities in this Eastern European country when it comes to outsourcing IT services. The large IT talent pool in this country is another reason why it is a leading destination for hiring software developers. Kharkiv, which is the central academic hub of the country, has some of the top IT schools that can be found in Eastern Europe. It is the second largest city in the country with a robust technological infrastructure. The city has over 20,000 software development specialists, and companies like Gameloft, Huawei, Oracle, and many more have made this city their home-base. When it comes to the talent pool of software developers, Ukraine is a force to be reckoned with. Today, it ranks 4th in the world for its number of IT professionals. Kyiv is the capital, and it contains the highest number of them — about 40,000. 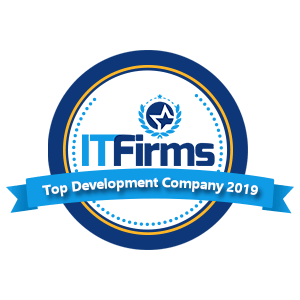 This large number of IT professionals makes the city one of the top destinations for organizations looking for software outsourcing companies. Many of the city’s IT experts traveled for schooled or have experience working abroad, which is another reason many companies find it easy to establish relationships with these them. Ukraine is an excellent choice for any business looking to outsource their IT and software developing needs. Although it can seem more expensive when compared to other options around the globe, the quality and high rate of success far surpass any cost discrepancies. Therefore, if you are looking to hire remote developers, you should consider Kharkiv and Kyiv in Ukraine, which are two of the best IT locations in the world. Looking for outsourcing team to bring more customers to your business? Reach out to our experts!